32Red is among the most reputable online gambling operators in the world and was established in 2002. Its long history is marked by continual growth, innovations, high payouts and an excellent relationship with customers, based on trust and mutual respect. The operator features a virtual casino with lots of blackjack, roulette, slots and video poker variations, as well as a Live Dealer casino. The games are playable on mobile devices. 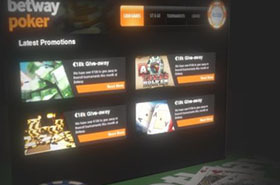 Both the Download and the Instant Play casinos are powered by software giants Microgaming. This, alone, is a sufficient guarantee players will enjoy superior, sharp visuals, authentic casino sounds and exceptional gameplay. 32Red boasts a state-of-the-art Poker Room with a variety of games to choose from. The most popular options are Texas Hold’em, Razz, Draw and Stud poker among many others. In addition, poker tournaments are scheduled on regular basis, providing fans of the game with the opportunity to compete against each other, improve their skills and more importantly – win fantastic prizes. 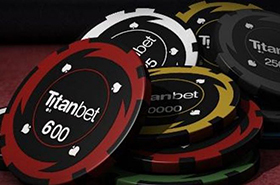 The surest way to attract poker enthusiasts is by offering them amazing bonuses, promotions and loyalty rewards. In this respect, 32Red Poker has plenty to offer. One of their advantageous promotions is the 30% Rakeback. What’s more, the Rakeback scheme is not limited to VIP members only, everyone is eligible once they register. It gets better, as there are no minimum rake requirements. All players are entitled to an instant 30% Rakeback every time they play their favorite game of skill. The more you play poker, the more loyalty points (called Redbacks here) you will collect. Every $1 you generate in the rakes or pay as an entry fee in poker tournaments will earn you 30 loyalty points. However, bear in mind you can collect loyalty points only when you play for real money in scheduled or Sit and Go tournaments or at cash tables. The Redback loyalty points you have accumulated will then be converted into real-money chips. A hundred loyalty points are exchanged for $1. If you pay $100 to buy your way in a poker tournament, you will be automatically granted 10,000 points. A $10,000 buy-in will earn you one million Redbacks. Naturally, the 30% Rakeback is offered to registered poker players only. Keep in mind, once you create an account, you must deposit money and play poker for real cash. Playing for fun without depositing will not do. Also, don’t forget the minimum number of points you need to collect to exchange them for cash is 100, which is equal to $1. Players who don’t use dollars will receive the same amount in their currency of choice. Those, who have earned some loyalty points before the 30% Rakeback was launched in 2011, won’t be able to convert them into cash. Such old Redbacks can be used to buy your way in tournaments only. You need to participate in tournaments every now and then and play on cash tables for real money. Otherwise, 90 days of inactivity will cause your loyalty points to expire and become void.